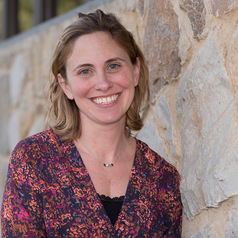 Jennifer Rich is an Assistant Professor in the Department of Interdisciplinary and Inclusive Education at Rowan University in New Jersey, and the Director of Research and Education for the Rowan Center for Holocaust and Genocide Studies. She also serves as the Executive Director for Education of Genocide Watch, an international NGO. Her teaching experiences at Rowan focus on social emotional learning, social justice and democratic education, and Holocaust and Genocide education and memory. Her scholarship focuses on best practices in Holocaust and Genocide education, the teaching of hard histories, and the memory of the Holocaust and other genocides in culture, education, and by the children and grandchildren of survivors of genocides.